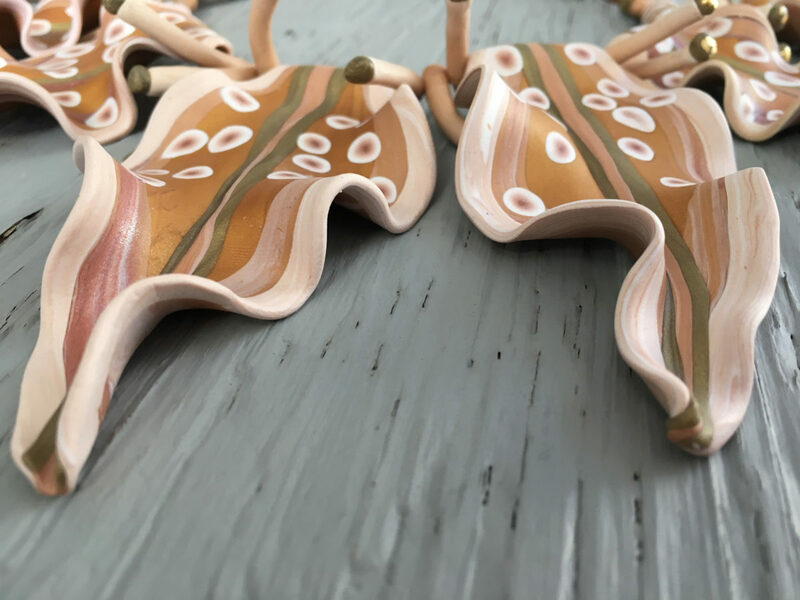 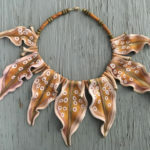 This collar sits at the base of the neck, radiating out like a flower or the sun. 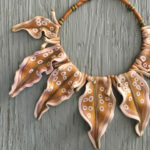 The unique petals are an Artifacts Everyday signature design inspired by the day lilies populating wild gardens of Wellfleet, MA. 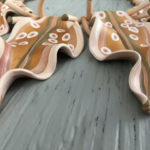 The collar is strung with 20lb beading wire and finished with a sterling silver or 18k gold filled magnetic clasp. 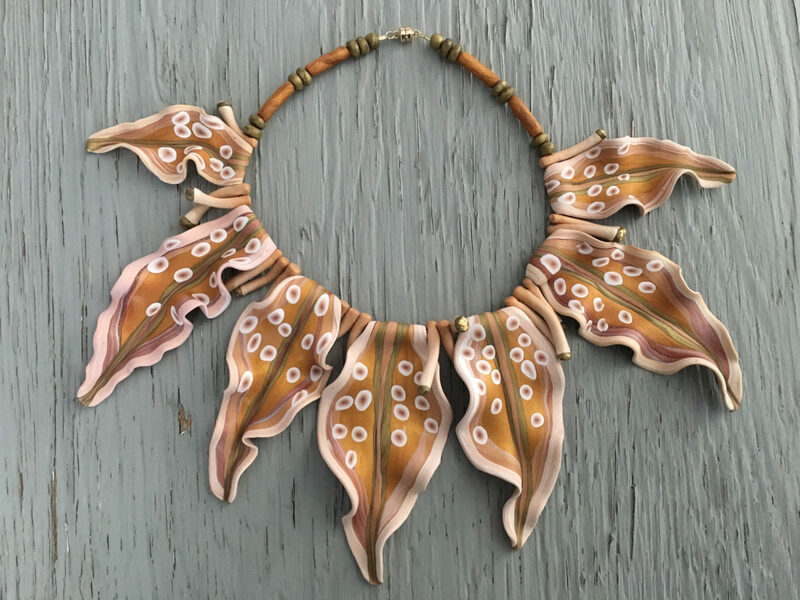 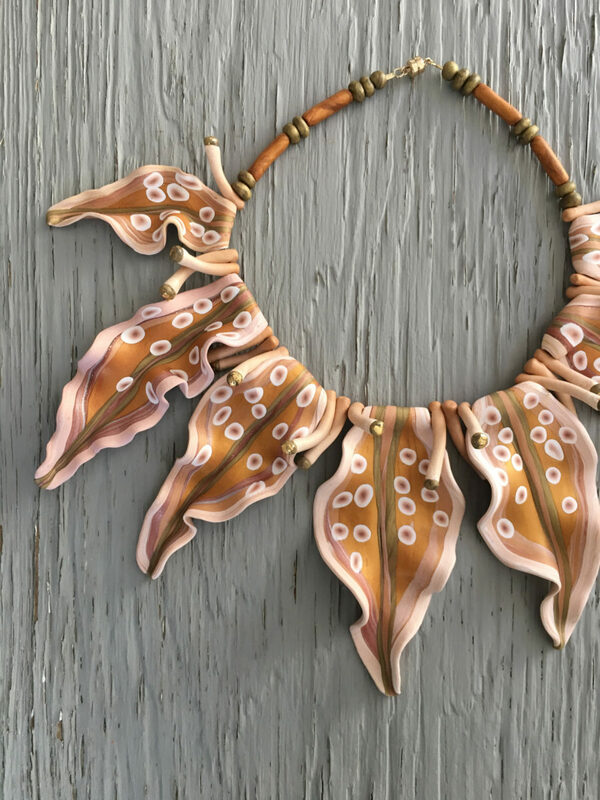 To commission the “Fleetian Garden” necklace, please include a note stating your desired color scheme.